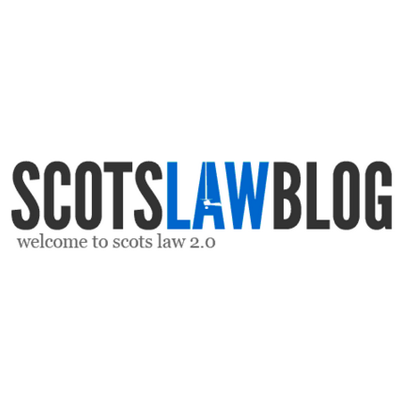 ScotsLawBlog is a law blog, otherwise known as a “blawg”, showcasing and contributing to Scots law. It is designed for law firms, lawyers and law students to display their own legal knowledge and skills, to help educate law students and others on Scots Law and to help connect businesses and consumers with valuable legal information and connect them with the best Scottish lawyer for them. At the right of this page is a widget which allows you to register for free. If you want to write your own material, preferably legal, on this site, please do register and post your (best) material. we reserve the right to remove any author or posts at its own reasonable discretion. However, if the material is of good quality and not just self-promotional, we’ll be happy to market this for you, again for free, through many social media networks to thousands of legal followers and connections. Reach tens of thousands of our followers on Twitter (via @ScotsLawBlog and @WardBlawg) and a wide professional audience on other social networks including LinkedIn andFacebook. And please visit our friends at CaseCheck.